This unique ball is sure to stand out at your alley! 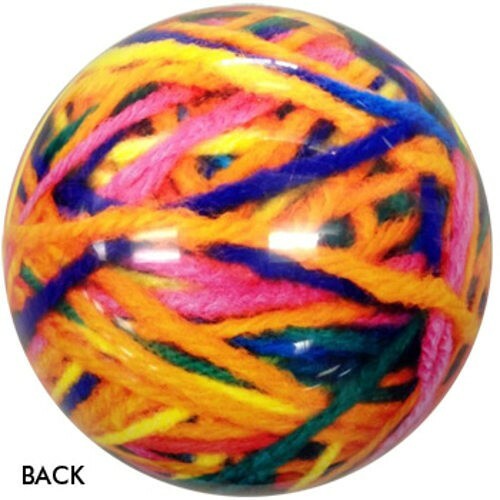 If features different colors of yarn all over the ball. Can you drill this ball for me? Unfortunately, we cannot. We apologize for any inconvenience. Due to the time it takes to produce the OnTheBallBowling Yarn Ball ball it will ship in 1-2 weeks. We cannot ship this ball outside the United States.